Navjeevan Properties recognized as a premium real estate developer for over ….. Years with breathtaking projects in its portfolio, today The Navjeevan Properties project portfolio is multifaceted spread across Residential & Commercial Infrastructure. Browse and experience our current offerings right here Over 11 years the group has built for itself an unshakable reputation for quality, efficiency, trust, meticulous planning, top quality amenities, superlative designs, timely completion, guaranteed possessions and handing over of projects. 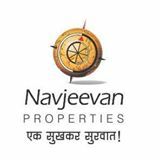 The Navjeevan Properties places amongst the most eminent real estate companies of Pune. We believe that our job is not just to build homes but also to build lifelong relationships. No project is executed without the help of the finest architects, designers and contractors, and the end result is always splendid. Delving deeper into intricacies of real estate, we understand the needs of our clientele and realize that city life can often become a burden.